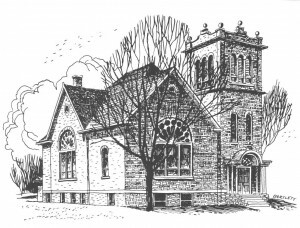 Our congregation was started in 1852 and the first church construction started in 1858. In The present church was built 1908 and has beautiful stained glass windows which were part of the original construction. Over the years there has been constant updating of facilities. In 1993 an addition was made to add classrooms, meeting rooms and a large room for fellowship and various large activities. Our Sunday service is at 9:00, with a social hour with snacks following the service. Communion is served the first Sunday of the month, and on special occasions, and is open to everyone. The governing body of our church and all PCUSA is a group elected buy the church membership called the Session. Present Session members are Ron Nelson, Jean Spataro, DeAnn Richards, Dudley Mehltretter, Zac Dachel, Mae Stocks, Diane Lukins, Herb Damsteegt and Rod Hanson. Our policy and that of the PCUSA is that all voices are valued and included. We valve diversity and celebrate the gifts of all people. We hope that our church serves as a secure place for our members and guests to hear comforting words of scripture and feel strengthened by fellow church members. We see ourselves as a friendly, open church, reaching people who are looking for God in their lives and those disillusioned by churches in the past. The great ends of our Church are the proclamation of the gospel for the salvation of humankind; the spiritual fellowship of all; the maintenance of divine worship; the preservation of the truth; the promotion of social righteousness and the exhibition of the Kingdom of Heaven to the world . Our church has a strong belief in helping those in need. This is confirmed by the fact that we annually have two groups from our congregation that travel considerable distances to help others. There is a group of adults that travel to the Yucatan Peninsula in Mexico to help build a church school for the children of the area. They pay their own expenses through fund raising and personal contribution. Our youth annually take a trip somewhere in the continental states to help areas in need of assistance. We also provide assistance to those in need in our geographic area. Pastor Cyndi Wunder- I am a spoken word provocateur. My life is centered around the Word and I am caught up in the perichoretic dance of God, like a child watching her parents dance in the kitchen, the eternal mystery of the three-in one God engages me wholly and completely. I love this church, the people, the community, the countryside. I am a country girl, always hanging with my dog, and my horse. I love to laugh with friends, share good stories around a campfire or over a good meal. 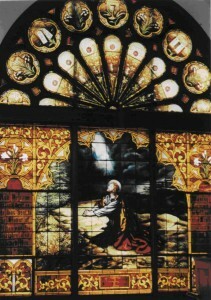 Dudley Mehltretter-I have been a member of the church since 1976. Elected as an Elder is 2017. Live in Lodi on 90 acre farm. Worked in the Health Insurance Industry for over thirty five years..
Jean Sparto- I have attended 1st Presbyterian Church since II was to years old. My maternal grandfather was a part of this church since he was four years old. My maternal grandparents, parents and siblings all have all been a part of this congregation. I have served terms on Session and Deacons, have sung in the choir and served as a lay-leader. My passion is Missions of all kinds. If you are in the area stop and say hello, we would love to meet you. Zach Dachel– I joined the 1st Presbyterian Church after my family and I moved to Lodi about 2017. I am married to Jenny, and together we have two children, Erik (12) and Mikayla (9). I work in Madison as an educator for UW Health. DeAnn Richards- I have been a member of the church for twenty two years and serve as the Clerk of Session. I am an Infection Preventionist and travel Wi supporting healthcare organizations. I was baptized, received first communion, confirmed and married in the Catholic Church. I joined the Presbyterian Church of Lodi when my husband Dan and I relocated to the Lodi area. We have two adult sons who are both welders and a teenage daughter who attends Lodi High School. Herb Damsteegt- I was raised in the Reformed Church of America and married into the Presbyterian Church. I have served on the Board of Trustees, Board of Christian Education and Session. I have also served as a Stephen Minister, Sunday School teacher, confirmation mentor and two Pastor Nominating Committees. At the Presbytery level I have involved in the Committee on Ministry and Commission Ruling Elder committee. I have also made numerous wood items for the church. The Lord has led me on a successful path of life and I hope others see that and want to be part of God’s work. Ron Nelson- I am a lifelong member of the First Presbyterian Church of Lodi and currently serving as a elder. I am chairman of the Buildings and Grounds committee and a member of the Finance Committee. While others are called to do Mission and Outreach work, my passion has been to the upkeep of this grand old building we have been blessed with. Mae Stocks- I am chairman of the worship committee at First Presbyterian. My great, great, great grandfather built this church, and my family has been attending the church ever since. I was baptized and confirmed in the church and I started teaching Sunday School at the age of sixteen, just like my grandma did. I became an elder at the age of eighteen, making me the youngest in church history. I am attending the University of Wisconsin Platteville studying Dairy Science. I am able to meet with the Session through a phone call, which makes if more difficult, but manageable. Diane Lukins- I joined the church in 1990 and have served several terms on the Board of Deacons. I have also taught Sunday School for several years. Looking forward to serving my first term on Session. Rod Hanson- My wife and I joined the church in 1968. I am a retired educator, having worked at Lodi High School as Athletic Director and physical education instructor. In addition I coached both basketball and golf. My church service includes one term on Board of Deacons and six terms as a member of Session. © Lodi First Presbyterian Church All Rights Reserved. Theme zAlive by zenoven.